What better way to celebrate summer than with a dinner for friends that enlists the grill in every course, from appetizer (chicken satay) to main course (fresh halibut) to dessert? Yes, dessert. I’m talking grilled peaches. 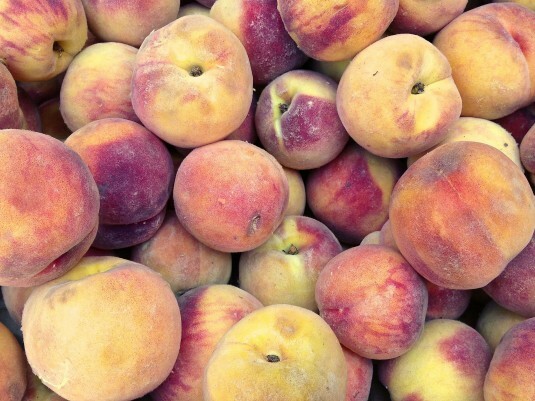 Okanagan peaches are one of those flavors that, like Proust’s bite of the tea-soaked madeleine, transport me back to childhood summer holidays in Penticton. 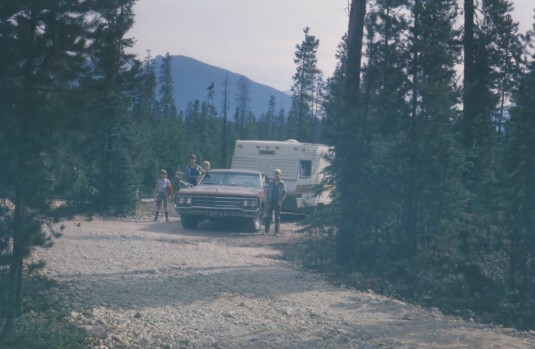 Every summer for many years, the five of us would pile into Dad’s ’66 Buick with a tiny trailer attached and drive the twisty Hope-Princeton highway to camp near Skaha Lake. With guaranteed hot temperatures and no rain, my days of splashing away in Skaha Lake, playing in the sand and eating simple dinners at the campground made the holiday pretty much as perfect as I could remember. I never wanted to leave the Okanagan. The drive home signaled the end of summer, as in cooler, wetter weather and the start of a new school year. Plus, in the days before car entertainment systems or individual headphones attached to iPods, it meant I had several long hours stuck in the back middle seat between my older brother and sister, trying to stave off boredom without making a nuisance of myself. The one thing that I looked forward to on the drive home was making a stop in Keremeos, where we loaded up on peaches from local orchards at one of the fruit stands. It was a small way we could continue our holiday back home, devouring peach crisps warm from the oven with oats and brown sugar or simple sliced peaches with cream poured over top. Last Friday with Deb and Craig we made grilled peaches for dessert, with nothing more than a drizzle of fig-balsamic vinegar glaze and a sprinkle of brown sugar. With a small scoop of vanilla bean gelato melting quickly on top, they made a light, summery, satisfying finish to a late summer dinner. There’s a definite chill in the air now, more so when the sun goes down earlier than I think it should these days. Much as I’d love to hold on to another month of summer, I know it’s coming to a close soon, and once again calendars will be filled up with serious work and school commitments. But for now the markets are still overflowing with Okanagan peaches, and I’m going to try to eat as many of them as I can before they’re gone for another year. Peaches are sweet as they are, but grilling them teases out a little more caramelized sweetness and intensifies the peach flavor. For the best results, use peaches that are still firm. 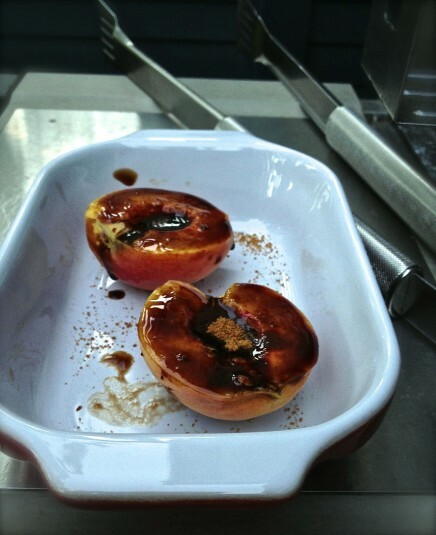 Place the peaches cut-side up on a plate and drizzle the fig-balsamic glaze evenly over. Sprinkle brown sugar evenly over the peach halves. Spray the grill with non-stick spray, then place the peaches on the grill cut-side up and let cook for 2-3 minutes, or until slightly softened and browned. Turn the peaches over and grill for another 2-3 minutes until slightly softned and browned. Remove from grill. 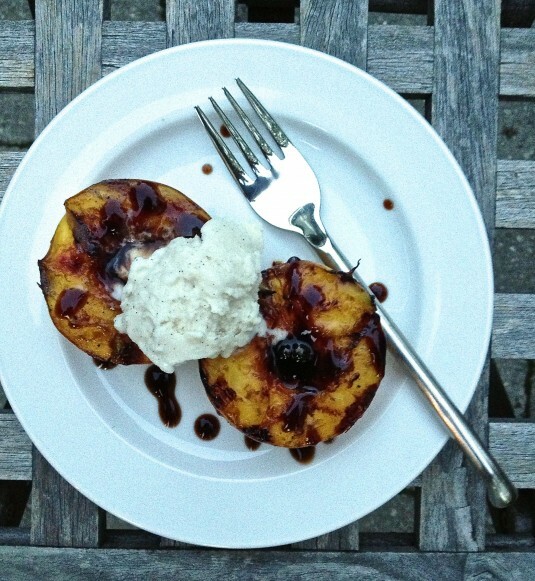 To serve, place 2 peach halves on a dessert plate and top with a spoonful of vanilla gelato. 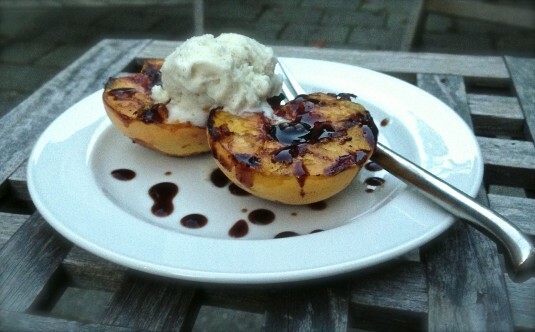 Drizzle a small amount of fig-balsamic glaze over the peaches and ice cream, if desired. 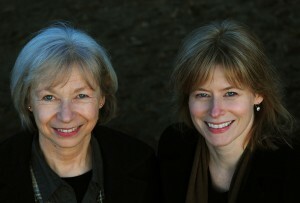 You can find fig-balsamic glaze in Italian or specialty food shops.